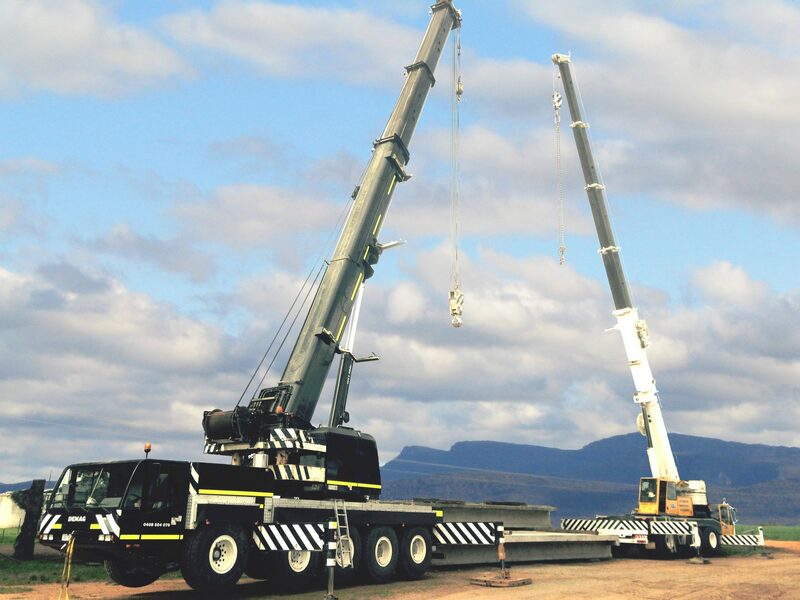 The Demag AC100 all-terrain mobile crane has a 50-metre main boom with an extension of up to 33 metres. 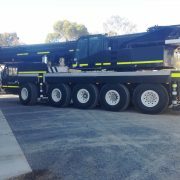 This is the biggest in the West Cranes & Access Hire fleet. 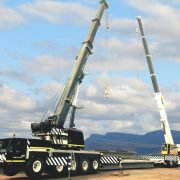 This is a five-axle crane with a carrier length of 11 metres. 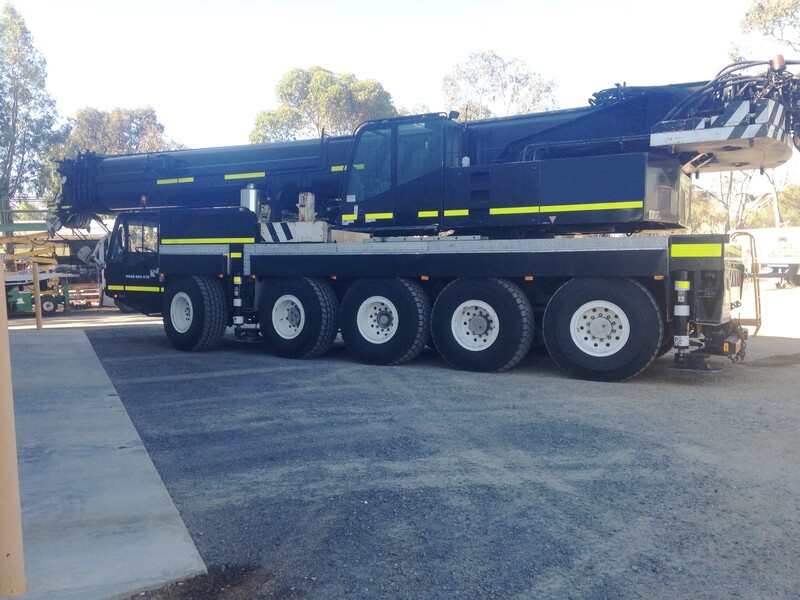 Located in Stawell, Western Victoria, The Demag AC100 all-terrain mobile crane is the largest crane for hire in the Western Victoria. 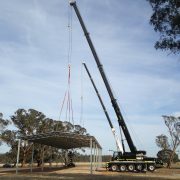 Call West Cranes & Access Hire for all your crane hire and rigging needs in Stawell, Horsham, Ararat and the greater region. The Demag AC100 ia available for wet and dry hire, with and without an operator. Need something a bit smaller? 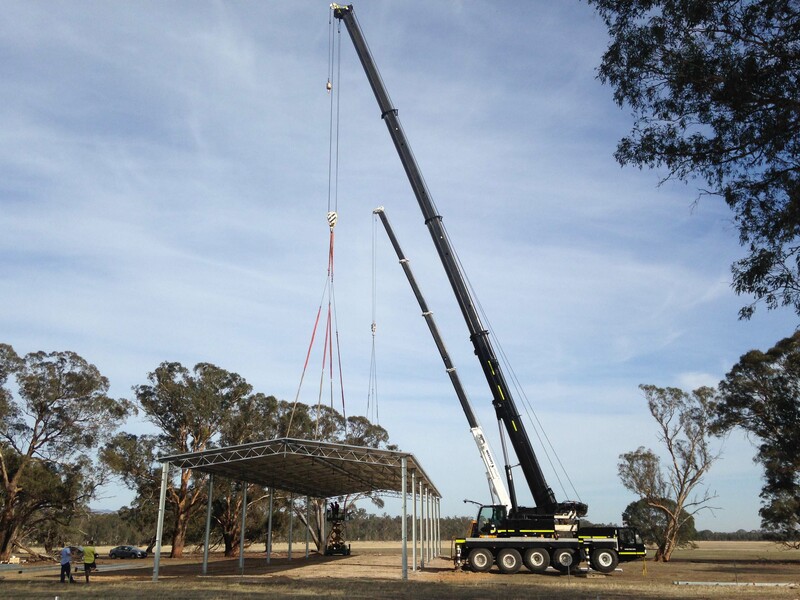 Take a look at the Tadano 20 ton crane for hire.